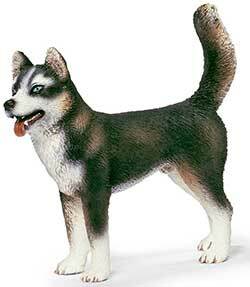 Glue this Husky to your pinewood derby car. Use superglue or epoxy to glue the Husky to your pinewood derby car. Can be used on any car where at least one forth of the top of the car has a flat area. 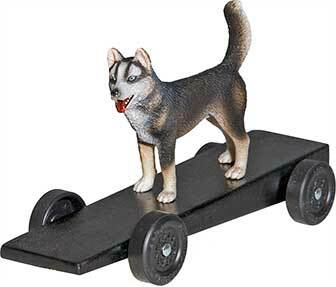 Example of the Husky on a pinewood derby car.